Let's start our tour along the streets, but this time, not in search of monuments, beauty old or modern architecture or just shops' vitrines. 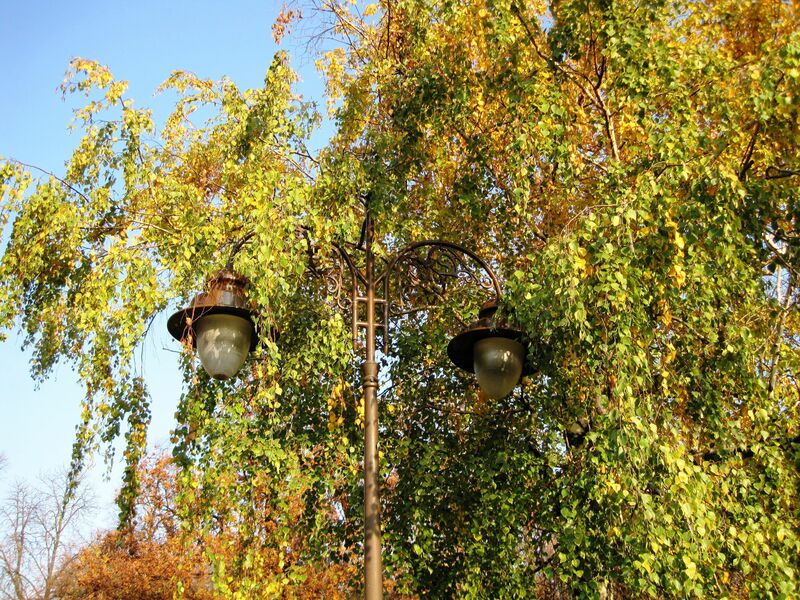 Because the streets have their own beauty - the lamps. Don't they create the romantic ambiance? On the right - I called it Unfair Competition. Seems like this time the Street Lamp is hiding behind the tree recognizing the true superiority of the Moonlight... And frankly - it is difficult to disagree. Since the beginning of time (or may be even from earlier) the Majestic Moon is our best night companion, especially when we are far from man-made lights. 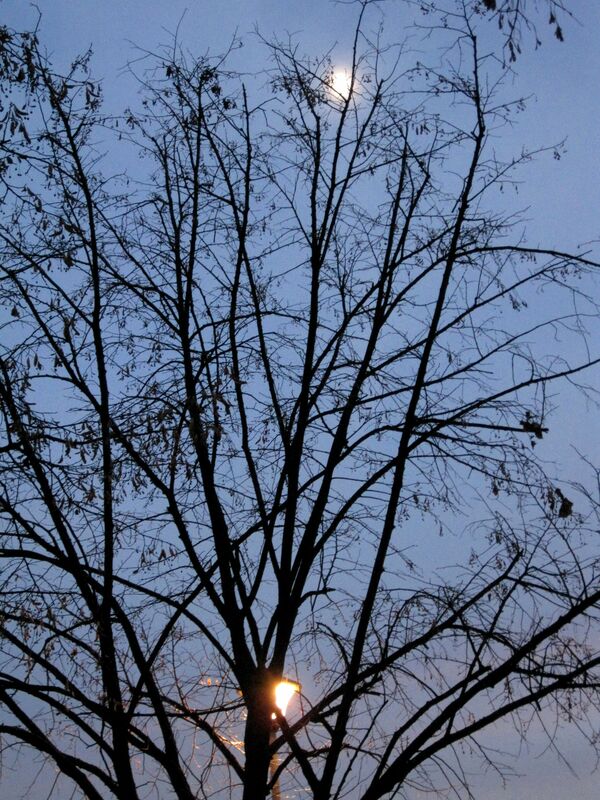 I love to watch street lamps in the early evening. Some of them are already turned on freely radiating around a "smile". But you can still admire their shapes taking advantage of the daylight time.